I worry about the apocalypse (Ed: don’t we all?). We never know when the dead might begin to rise, some contagion might be released, or even what’s really in the Mariana Trench. While I don’t want to become one of those crazy preppers, I do feel like some sort of on-going level of preparedness isn’t the worst idea. Thoughts on footwear that is both fashionable and functional in the event of a total collapse of civilization? You bring up a great point. 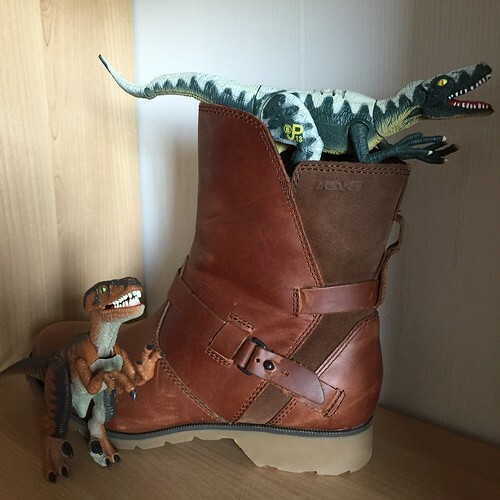 Though we raptors don’t need to worry about shoes, we know that humans feet are fleshy and delicious….um, sensitive, and need protection. However that protection need not be unfashionable. Opinions on the best apocalyptic footwear may vary. But we feel you should have something durable, yet flexible, because face it, when alien overlords take over, you are going to need to run. Because of this, stay away from any high heels or wedges. While a running shoe is the ideal for this, they may not hold up to the rigors of a post-apocalyptic wasteland. We suggested you focus on a leather shoe or boot, with a rubber sole and a little spring. A brand we suggest is Teva. They have some very fashionable options that can be worn daily and with either pants or skirts, so if you aren’t home and near your closet when the end of days comes, you’ll still be able to outrun the weaker and less informed members of the pack. Happy shopping…. I’m what you might call, “accident prone." So accident prone that it's been suggested that I just wrap myself in bubble wrap and be done with it. While this might be protective, I'm not sure it will look that great. Any suggestions? We think we understand your issue. There are a few directions you could go with this. 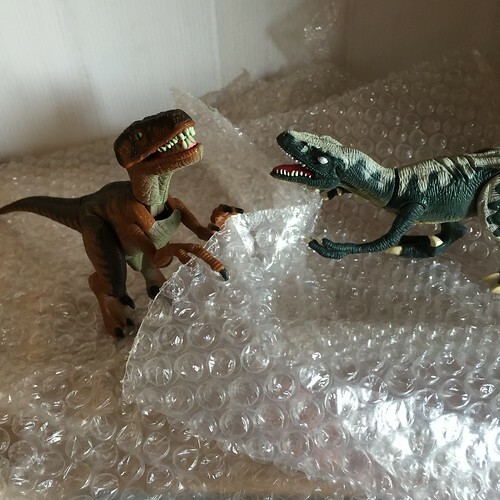 We understand the bubble wrap might not be the most flattering of mediums; however, one of the nice things about bubble wrap is that it is clear. This means you could wear your favorite pants outfit or dress and have the bubble wrap as an outer layer. Think of it like the clear plastic protective cover on a sofa. Our grandma used to have those because it's hell getting viscera out of upholstery. Here are some great examples of a dress, and a lovey two piece ensemble. Depending on your accident level you may want to add protective layers as appropriate. I am a young human female, and I live in a large urban environment. Sometimes when I am walking down the street, complete strangers, always human males, will tell me to smile. They might say, "Aw, it's not so bad" or "You look prettier when you smile." But I think it's weird to walk down the street grinning, and it's none of their business. Should I just ignore them? Say something? 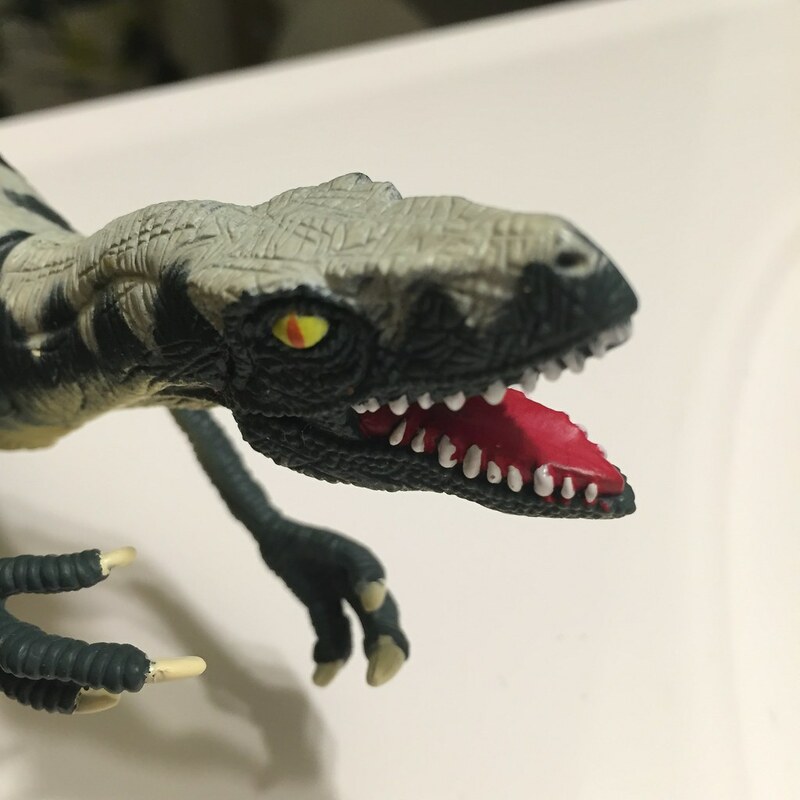 We Fashion Raptors don't understand this request since showing your teeth should be considered an act of aggression. If people don't understand this, we think you and any of your other friends who have this same problem should work on resetting the cultural expectations. When someone tells you to smile, really bare those teeth! What you really want to work on is developing the kind of smile that makes your prey run (we know we love a good chase). The more teeth the better! We don't want to make any judgments about smiling making you prettier, since it's possible you do look prettier when you smile. Prettier, hungrier, more likely to gnaw someone's face off. We hope you enjoyed The Fashion Raptors' maiden voyage into advising. Send your questions, fashion-related or otherwise, to ladiesofcomicazi@gmail.com, or post them to our Facebook page.